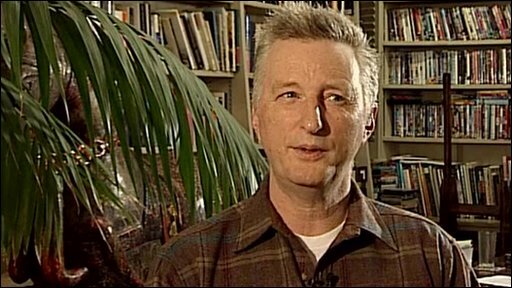 Billy Bragg: "We have to worry about the moneypit that is RBS"
He is calling on the government to intervene and limit the proposed £1.5bn that the bank, which is 84%-owned by the taxpayer, wants to pay in bonuses. Mr Bragg said he felt frustrated and powerless to stop the bonus culture. He has set up a protest page on social networking website Facebook, which has been signed by 5,000 people. "We have a short window of opportunity between now and 31 January, but the two main political parties don't seem to be interested," Mr Bragg told the BBC. "This is a frustration borne out of a sense of powerlessness in the face of the bonus culture. I don't know what else to do," he said. Large bonuses have caused outrage across the world, but particularly when paid out by banks that have been bailed out by taxpayers. The banks argue that they have to pay out large bonuses to keep the best staff who can best generate large profits to repay the taxpayer. Paying bonuses, they say, is, therefore, in the best interests of taxpayers. Last week, RBS chief executive Stephen Hester defended his bank's policy on bonuses, saying that he earned the "going rate" for his job.